The purpose of this post is to create a simple and straightforward guide for Windows users to install and configure MediaWiki on a Windows Operating System. Step 1: The first step towards configuring Mediawiki is installing Xampp. The installer of Xampp can be found in following URL. By default Apache Server uses Port. You might want to change it by editing “httpd.conf” from the Xampp Control Panel. Now your Apache and MySql Server would be ready to run. 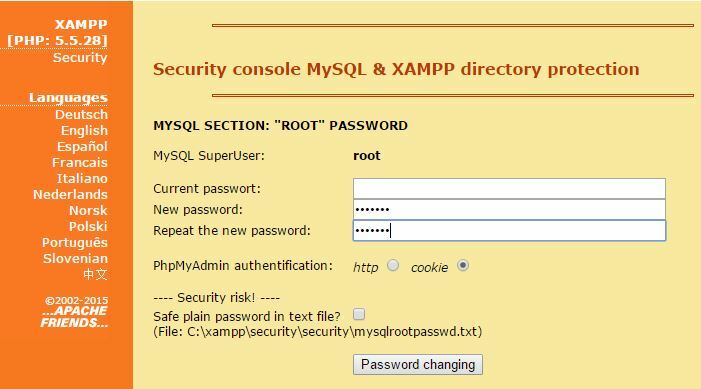 Step 2: The next step involves setting password for “root” in your MySQL Server. You can do the same using the following URL and selecting “http://localhost:8080/security/xamppsecurity.php” as seen in the screenshot. Once inside the link, you can set the password for the “root”. You might have to restart server to make the change effective. 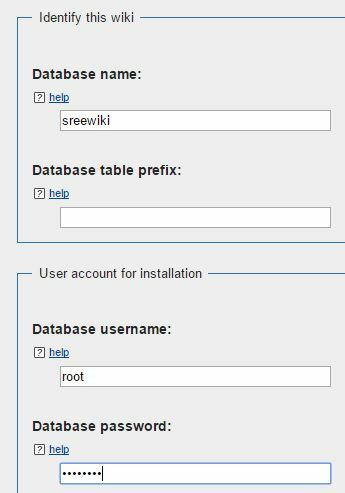 Step 3: There is one more step you have to accomplish before you get your hands dirty with MediaWiki and that is to create the require Database. This would require you to login to the phpMyAdmin Dashboard. This can be done by accessing following link. 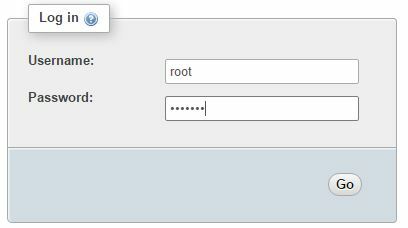 Use the password you had set for “root” to login to the dashboard. You can create the Database by accessing the “Database” link in the top Menu. Step 4: Now you are all set to start configuring your MediaWiki. Download your copy of MediaWiki from following URL and extract the files to your “C:\xampp\htdocs” folder. 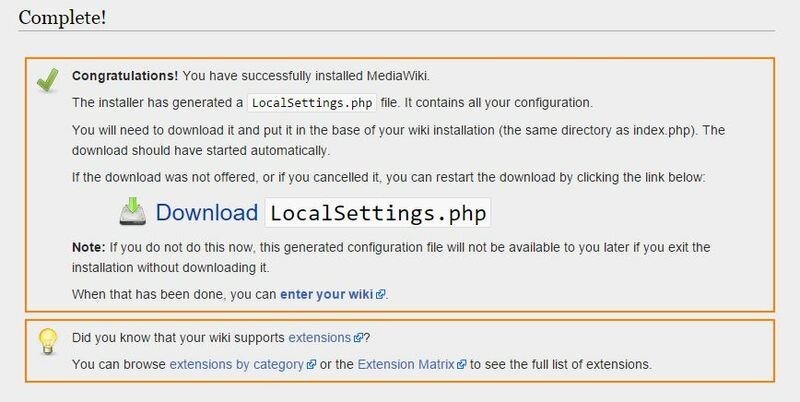 You can start your MediaWiki Configuration wizard using following link. 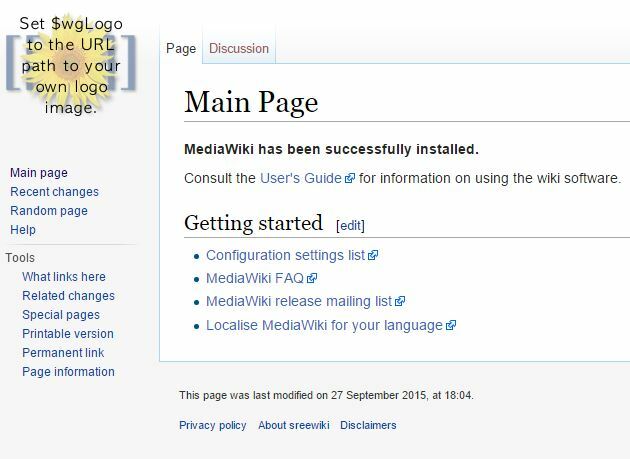 Step 5 : The Mediawiki Configuration Wizard provides a simple yet effective way to configure your wiki portal. Most of the steps in the wizard is self explanatory. Only place to care for is to set your database credentials as same as “root” you had set in previous step. Once the wizard is completed, you would need to copy the generated localsettings.php file to your “C:\xampp\htdocs\mediawiki” folder. That’s it, and now you would have your wiki all set to run. Go ahead and access it using following url.